GeoTiff files can be exported directly from Petrosys to be loaded into Insight (see Load Culture Files and Import Culture Files). 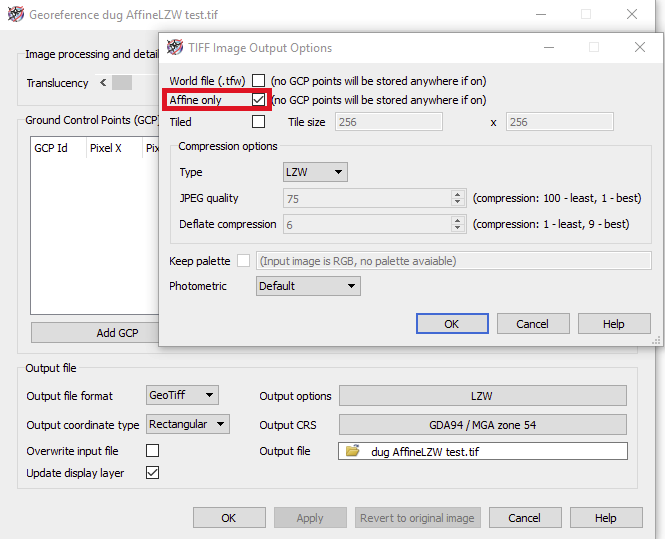 When exporting the GeoTiff file from Petrosys, make sure to select the Affine only option in the TIFF Image Output Options window. This will allow the embedded positional information (coordinates) of the GeoTiff file to be exported from Petrosys and loaded into Insight alongside the GeoTiff file. Prev: How to download, unzip and load volumes and surveys into Insight? Next: How do I get my data stored in a third-party database into DUG Insight?